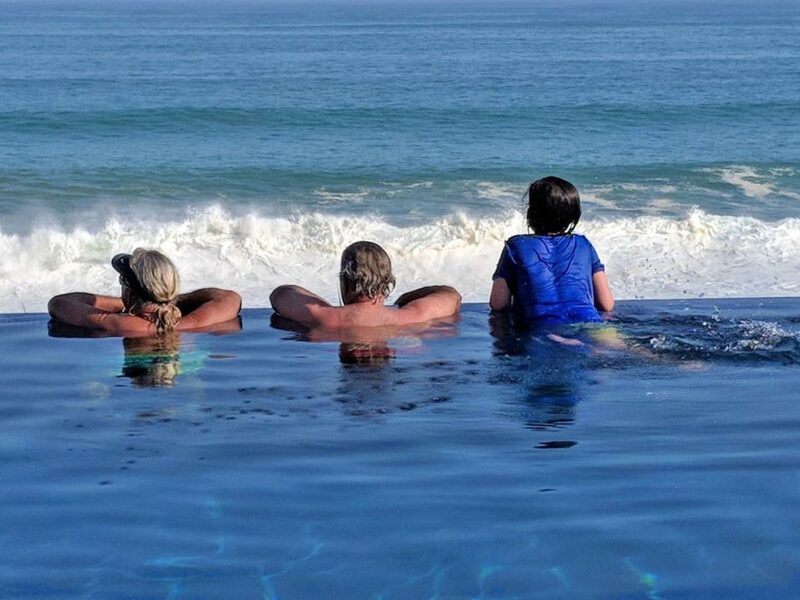 I had the pleasure of vacationing with some family and friends at Villa Tranquilidad in the private community of Puerto Los Cabos. It was amazing! 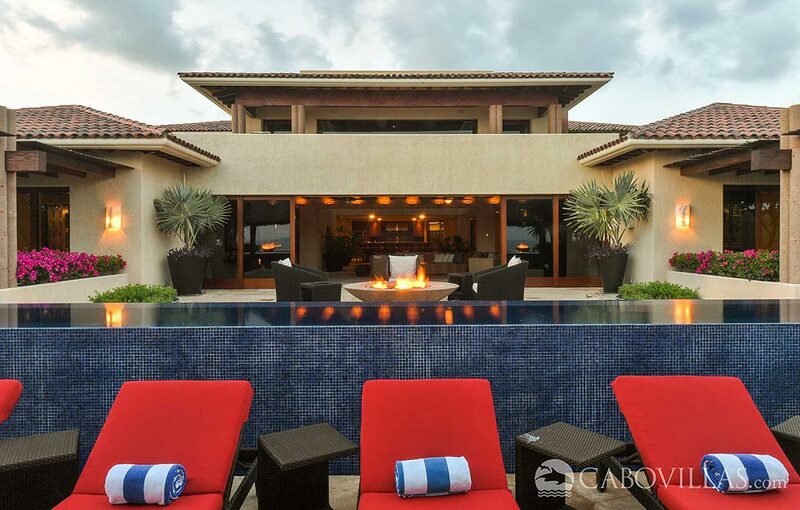 This luxury villa has the best infinity swimming pool directly overlooking the beach. 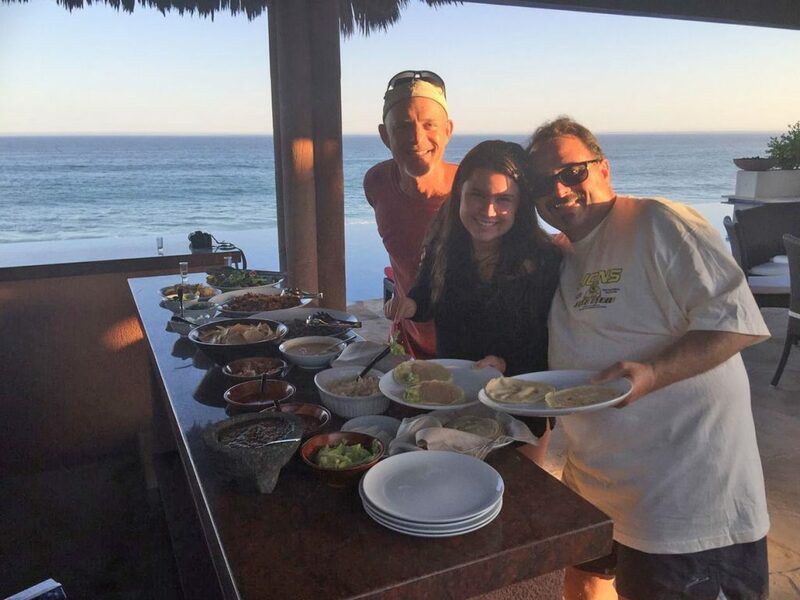 We enjoyed a great taco bar prepared by Rosemberg, the caretaker of Villa Tranquilidad, on our first night so we could just settle in. He served us outside by the pool. It was a memorable way to kick off our vacation. 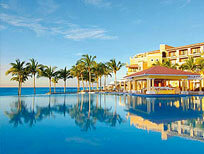 Rosemberg was available throughout our stay if any questions or needs arose. 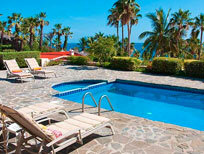 The villa itself is spacious, comfortable and beautifully decorated. It offered everything we could need and the ocean views were simply incredible. The next morning, we headed out to Flora Farms for a great brunch. This unique restaurant is located on a working organic farm and uses the freshest produce grown on site. It’s a bit off the beaten path but definitely worth the visit. 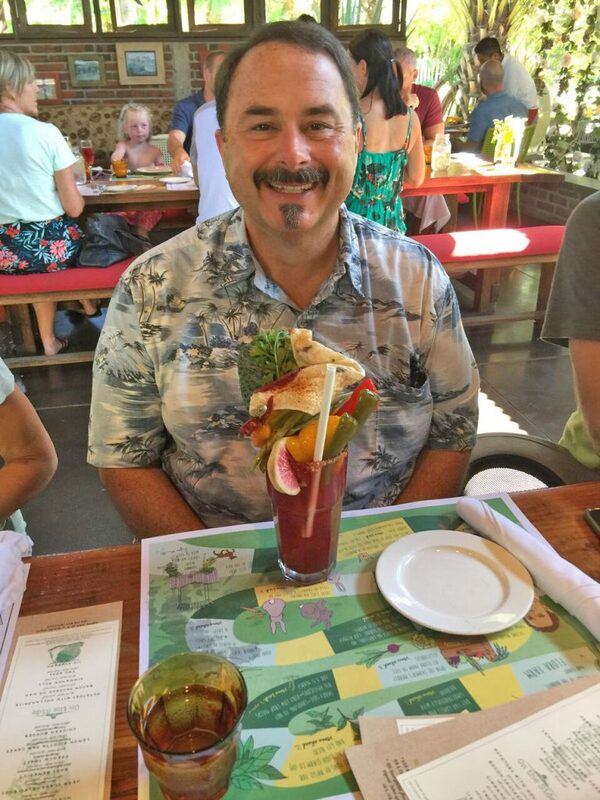 The food was excellent, and my husband had the coolest Bloody Mary! 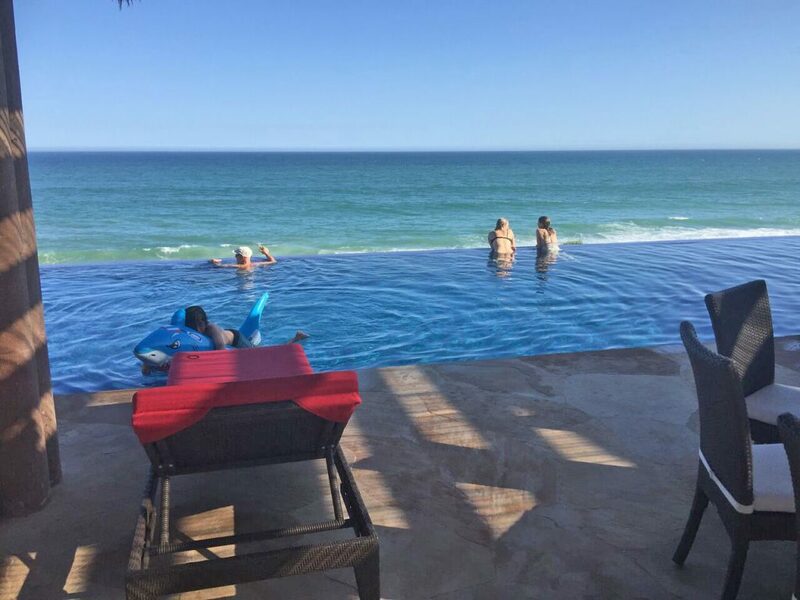 The following day we headed over to the El Ganzo Beach Club, where the water was nice and calm, and the food was fresh and delicious. The beach club is part of the stylish boutique-style Hotel El Ganzo which offers a great location adjacent to the Puerto Los Cabos Marina. 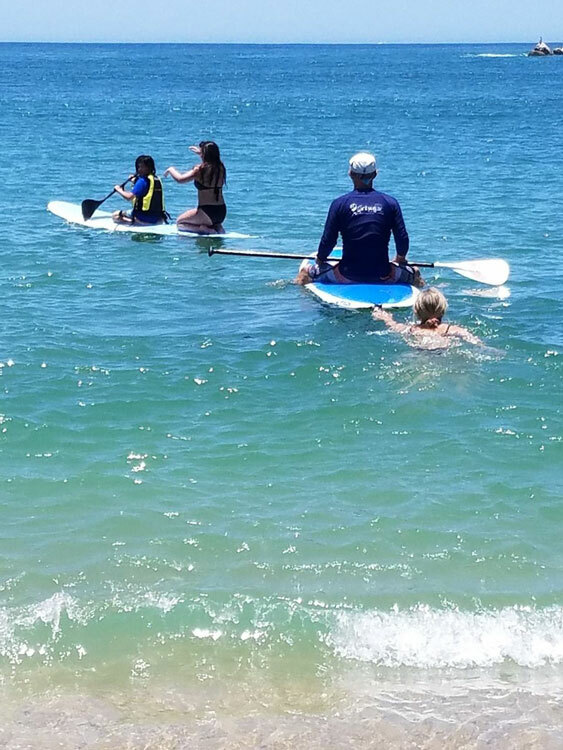 We rented a couple of standup paddle boards for some family fun and had a great time playing in the sparkling waters of the Sea of Cortez. 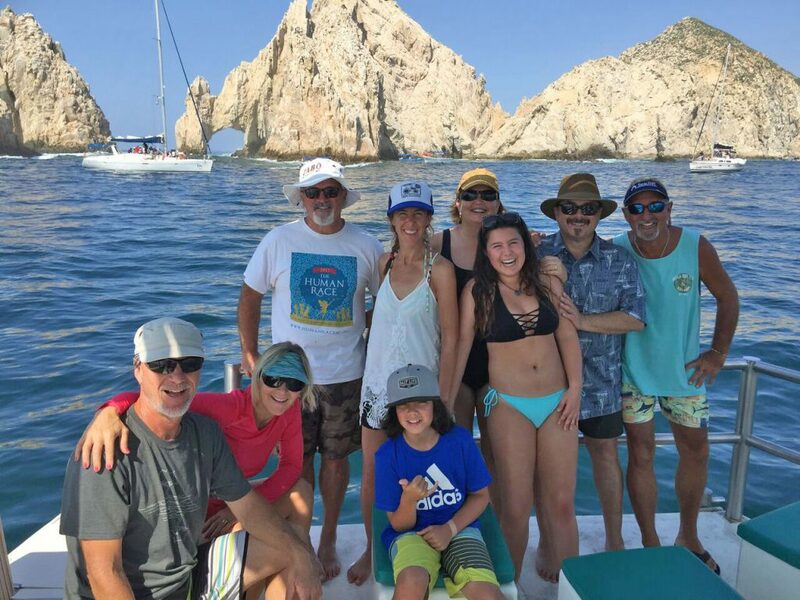 On our last day, we all hopped onboard the La Isla Fe, for a boat tour of Cabo San Lucas Bay and some snorkeling fun. It was just beautiful out there. 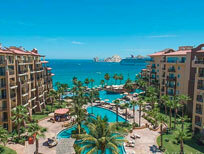 We headed close to El Arco (Cabo’s famous stone arch) to take in the sights. 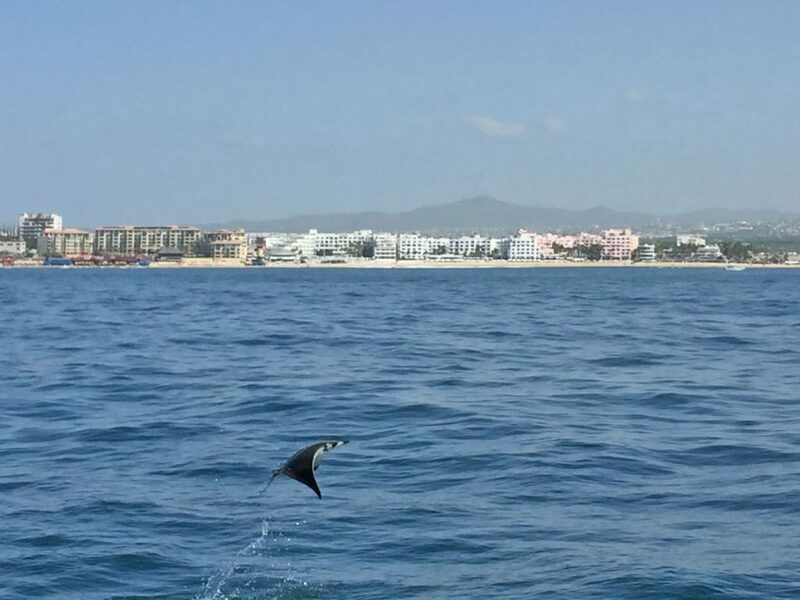 We watched bat rays gliding out of the water in a mating display. It was so cool! We even saw a small hammerhead shark swim by when we were out in the deep water. 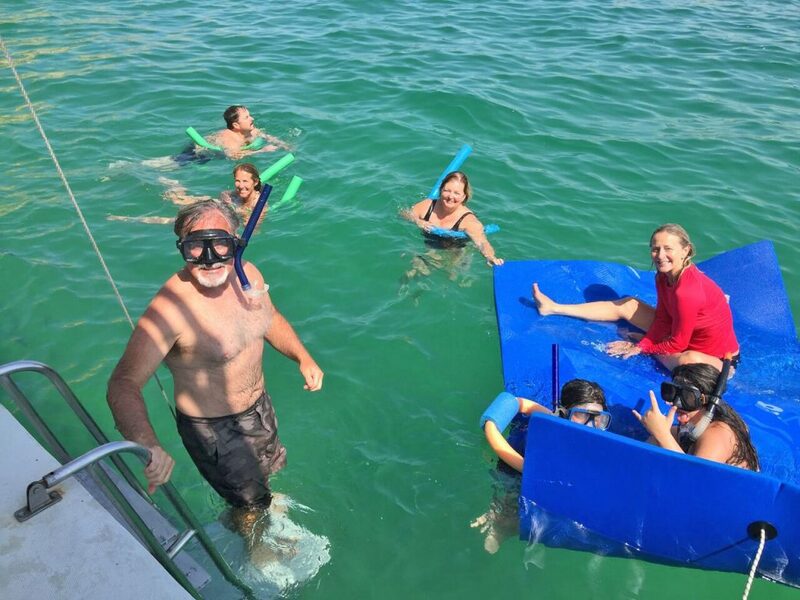 We snorkeled and splashed around, jumped from the second deck into the water and generally frolicked in the water. We spent our last night at Villa Tranquilidad having family fun with puzzles and a jam session with ukuleles by moonlight. It was one of the best vacations ever! 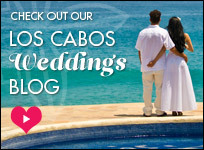 This entry was posted in Cabo Insider Tips and tagged activities, Cabo, Cabo San Lucas, Cabo Travel, Insider Tips, Los Cabos, Villa Tranquilidad, Villas. Bookmark the permalink.